If you are a homeowner, you are probably aware of the importance of building and contents insurance to safeguard against the risks of serious loss or damage to both the structure and fabric of your home and its contents. If you decide to let that property to tenants, however, there is a fundamental change in the entire basis on which the property is used – rather than the home in which you live, it becomes a business proposition in which you generate income from the rents you charge tenants. That is true whether you are a full-time landlord making your entire livelihood from let property or a so-called “accidental landlord” after finding yourself with a property in which you decided not to live. That fundamental change of use also means that any standard home insurance policy is no longer likely to be valid and you must instead arrange purpose-designed landlord insurance – or buy to let insurance as it is also known. As the Money Saving Expert warns, any existing regular form of home building and contents insurance is unlikely to provide the cover you need. 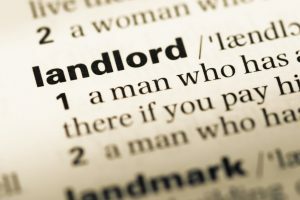 landlord insurance, therefore, may offer compensation for that loss of rental income – up to prescribed amounts, typically limited to a percentage of the total sum insured. Landlord insurance may not be a legal requirement (though it may be a conditton of any buy to let mortgagge you have on the property), but without it, you run the risk of financial losses at least equivalent to the value of your investment in the property. Plus, typically, a failure of your buy to let business, and the possibility of personal liability for any breach of your duty of care as a landlord or property owner.